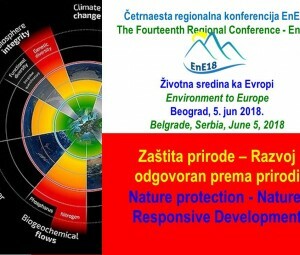 Conference “Environment to Europe” – EnE18 is an official event that marks the UN World Environment Day (WED) in the Republic of Serbia and region. Since its beginning in 1974, World Environment Day has developed into a global platform for raising awareness and taking action on urgent issues from marine pollution and global warming to sustainable consumption and wildlife crime. “Beat Plastic Pollution”, the theme for World Environment Day 2018, is a call to action for all of us to come together to combat one of the great environmental challenges of our time. Chosen by this year’s host, India, the theme of World Environment Day 2018 (If you can’t reuse it, refuse it) invites us all to consider how we can make changes in our everyday lives to reduce the heavy burden of plastic pollution on our natural places, our wildlife – and our own health. In recent years, millions of people have taken part in thousands of registered activities worldwide. 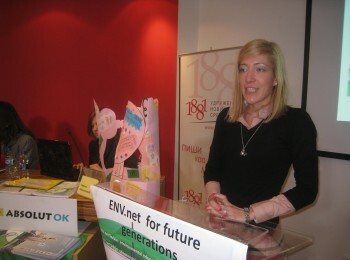 Conference “Environment to Europe” – EnE18 is an official event that marks the European Sustainable Development Week (ESDW) in the Republic of Serbia. 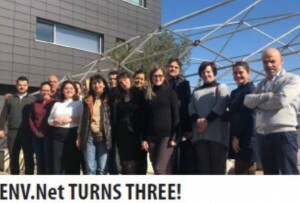 The ESDW is a European-wide initiative to stimulate and make visible activities, projects and events that promote sustainable development and the Sustainable Development Goals (SDGs). 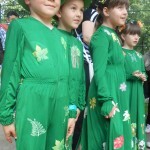 It takes place every year from 30 May until 5 June. The ESDW aims to raise awareness for the 2030 Agenda in Europe and calls upon local stakeholders to actively engage with sustainable development, in general, and the SDGs, in particular. 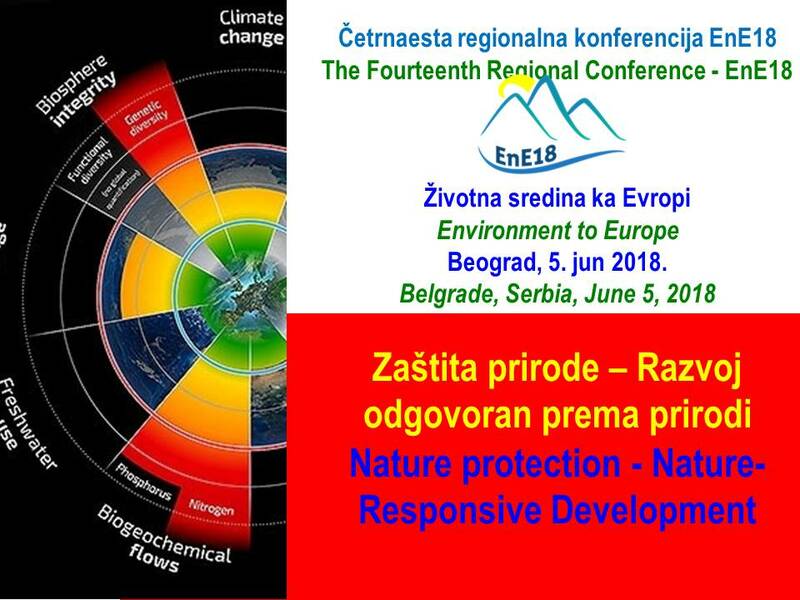 The Fourteenth Regional Conference EnE18 is thematically focused on Nature protection – Nature-Responsive Development (2018). Since 2005, when we established the Conference, we have around 2.500 participants from 15 countries and presented about 350 research and scientific papers. 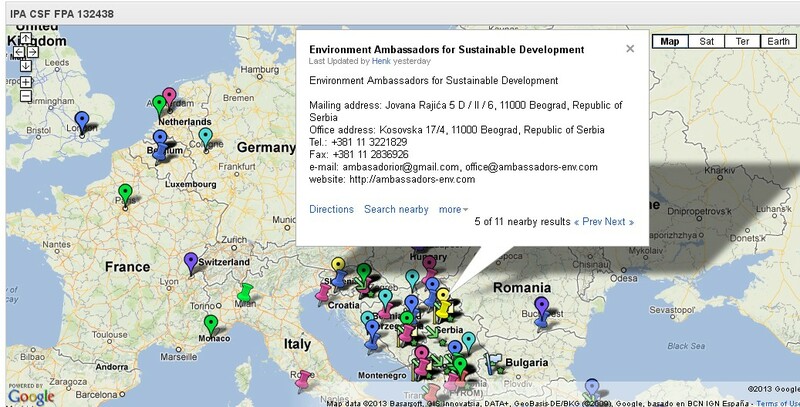 This year is also fourteen years of partnership between “Environmental Ambassadors for Sustainable Development“ with the Chamber of Commerce and Industry of Serbia“. 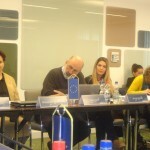 Begona Matilla Soloaga, Human Dynamics, Team leader, TA for strengthening the National Nature Protection System for implementation of Natura 2000 requirements / Human Dynamics, tim lider, NATURA 2000 Turska. 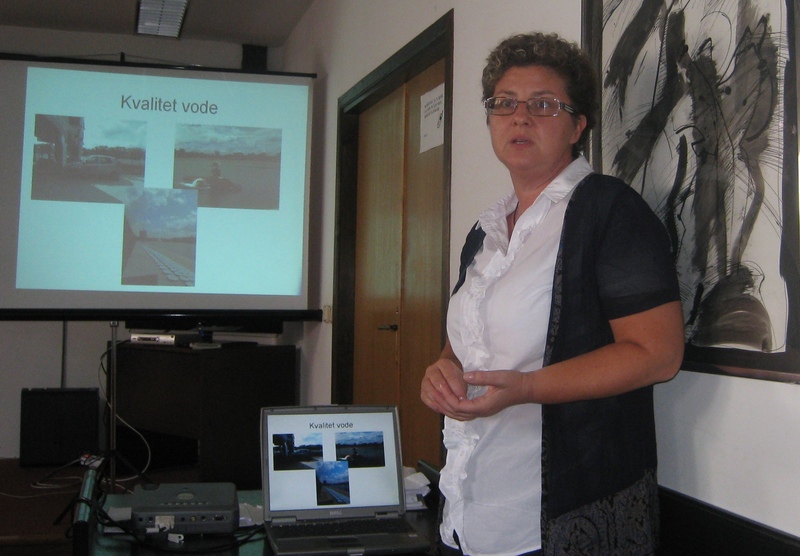 Focus : NATURA 2000 in Turkey – project outputs / NATURA 2000 u Turskoj – rezultati projekta. dr Deni Porej, Director of WWF Adria, WWF Mediterranean Programme Office / Direktor WWF Adria, WWF Regionalna kancelarija. 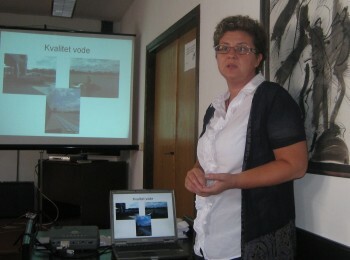 Focus : WWF and Nature Protection, Nature – Responsive Development / WWF i zaštita prirode, razvoj odgovoran prema prirodi. 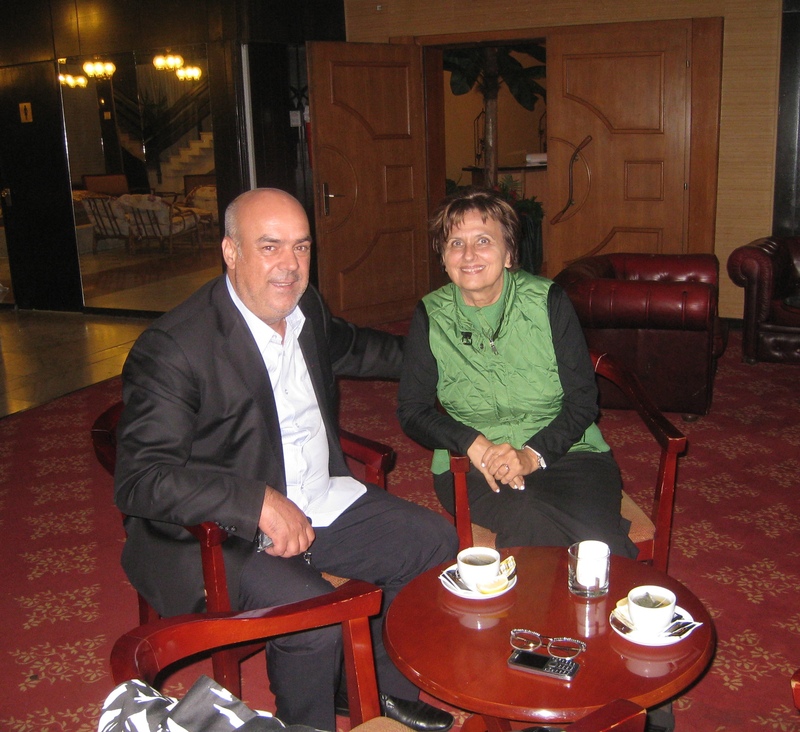 mr. Danko Jović, Institute for Nature Conservation of Serbia / Zavoda za zaštitu prirode Srbije. Focus: State in the Republic of Serbia in respect of nature and oblidations of Serbia in the process of accession to the EU in this area / Stanje u Republici Srbiji u vezi zaštite prirode i obavezama Srbije u procesu pristupanja EU u ovoj oblasti. 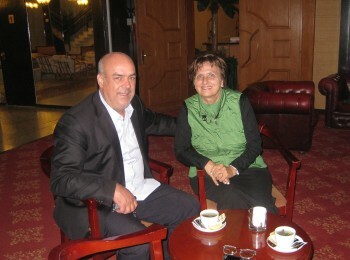 Klara Sabadoš, Institute for Nature Conservation of Vojvodina Province / Pokrajinski zavod za zaštitu prirode. Focus: The situation regarding nature protection and the NATURA 2000 network in Serbia / Situacija oko zaštite prirode i mreže NATURA 2000 u Srbiji. Nikola Stanojević, Bird Protection and Study Society of Serbia / Društvo za zaštitu i proučavanje ptica: Protection of birds and obligations of the Republic of Serbia in the process of EU accession in this area / Zaštita ptica i obaveze Republike Srbije u procesu pristupanja EU u ovoj oblasti. 13:40 -14:00 Awards for the winners of the competition „Beat plastic pollution! 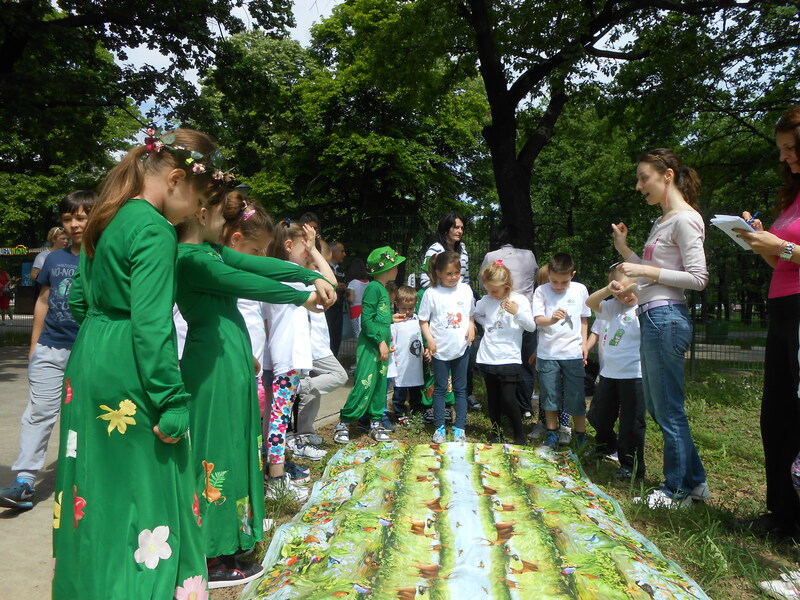 If you can’t reuse it, refuse it!“ organized among elementary school classes by UN Environment and partners: Environmental Ambassadors for Sustainable Development and Forestry and Environmental Action for celebration of the World Environment Day 2018 in Serbia / Dodela nagrada timovima iz osnovnih škola u Srbiji, pobednicima na konkursu „U koštac sa plastikom!“ tj. „Pobedi zagađenje plastikom! Ako ne možeš da je ponovo upotrebiš, ne koristi je!“ koji je Agencija Ujedinjenih nacija za životnu sredinu organizovala zajedno sa partnerima: Ambasadori održivog razvoja i zaštite životne sredine i Inicijativa za šumarstvo i životnu sredinu – fea povodom obeležavanja Svetskog dana zaštite životne sredine 2018. u Srbiji. Photo exhibition – slideshow of vessels (ships, sailboats, etc.) 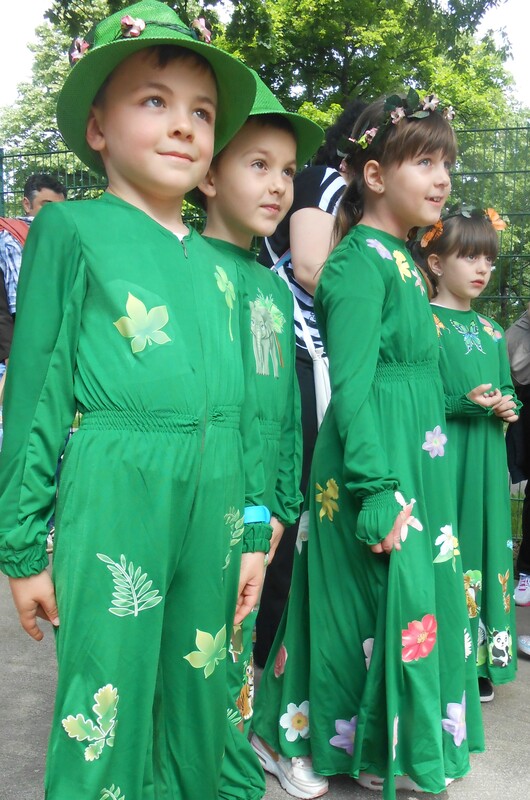 of all elementary school classes participated in the competition is presented in the front of the Main Hall. I ove godine Ambasadori održivog razvoja i životne sredine (AOR) nastavljaju sa promovisanjem aktivnosti koje imaju minimalan negativan uticaj na životnu sredinu, te je EnE18 Konferencija prepoznata kao ekološki prijateljska i izbegnuto je bespotrebno štampanje materijala i publikovanje Zbornika radova u štampanom izdanju. 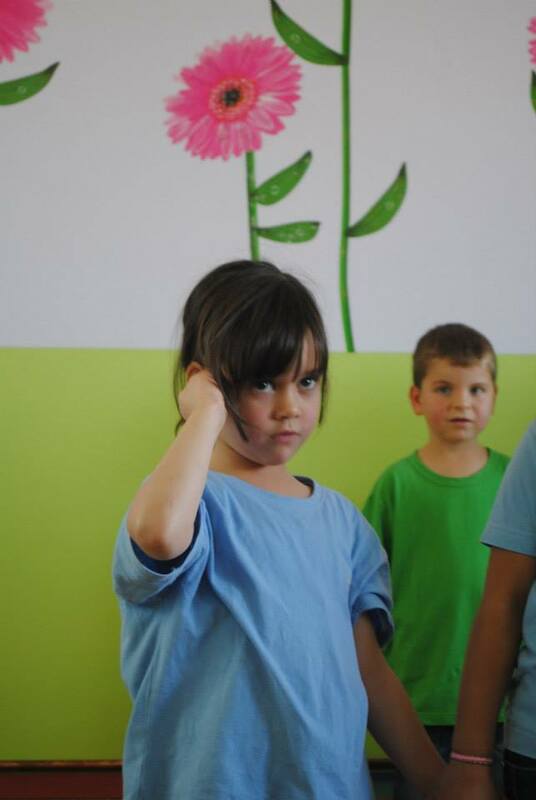 Takođe, AOR preporučuju dolazak učesnika na Konferenciju sredstvima javnog prevoza. 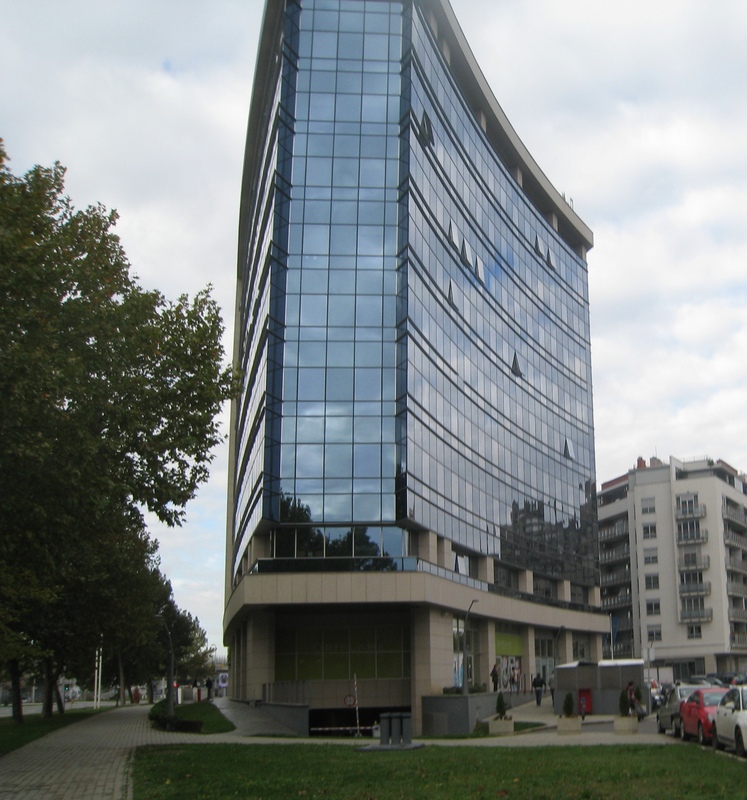 Engleski i srpski (i/ili jezici bivših jugoslovenskih republika); simultano prevođenje je obezbeđeno zaključno sa 13:30h. English and Serbian (and/or languages of former Yugoslav Republics); simultaneous translation will be provided up to 13:30. Recenzentski odbor je, na bazi tematske usmerenosti i načina prezentovanja, razvrstavao radove za Zbornik po kategorijama: radovi u celini i apstrakti radova. Papers are grouped in two categories: full papers and abstracts. The Thirteenth Regional Conference – EnE17 Environment to Europe was successful UN Environment WED and ESDW event. Traditionally, this Conference was organized by professional association “Environmental Ambassadors for Sustainable Development” and Chamber of Commerce and Industry of Serbia. 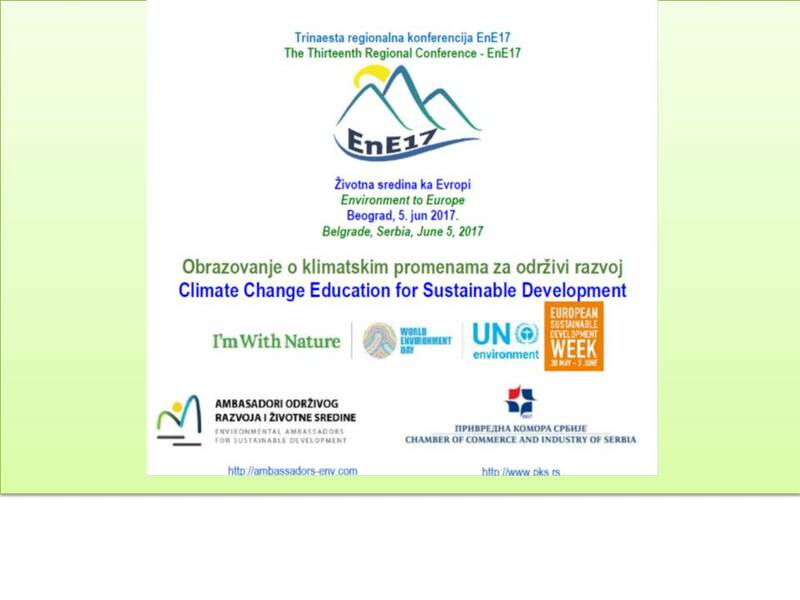 Especially interested was Panel on Climate Change Education for Sustainable Development (panelists are: Prof. dr Vladimir Đurđević, Faculty of Physics, University of Belgrade ; Prof. dr Aleksandar Jovović, Faculty of Mechanical Engineering, University of Belgrade; Prim. mr sci. med. Branislava Matić, Head of Unit for Human Ecology and School Hygiene at Institute of Public health of Serbia “Dr Milan Jovanovic Batut”; Nataša Đokić, Head of Department for planning projects at City of Belgrade, Secretariat for Environmental Protection; MSc Izabel Airas, Advisor for circular economy, Center for Circular Economy, the Chamber of Commerce and Industry of Serbia; prof. dr Anđelka Mihajlov (Member of the Government of the Republic of Serbia Negotiating Team for the Accession of the Republic of Serbia to the EU, responsible for climate changes in Chapter 27); Panel was moderated by Milica Momcilovic. EnE17 was opened with introductory speeches by Goran Trivan, Secretary for Environmental Protection of the City of Belgrade with strong and clear message where it is and how it should develop the sector of environment and climate change in the Republic of Serbia, Päivi Alatalo, Deputy Head of the Mission, Embassy of Finland, Belgrade, Stanojla Mandic, Deputy Commissioner for Information of Public Importance and Personal Data Protection of the Republic of Serbia, Zoran Vujovic, Vicepresident, Chamber of Commerce and Industry of Serbia, PhD Mirjana Drenovak Ivanovic, Faculty of Law, University of Belgrade and member of the Government of the Republic of Serbia Negotiating Team for the Accession of the Republic of Serbia to the EU, responsible for specific sectors of Chapter 27, MSc Dusan Stokic, Co-organizer of the EnE17 Conference, Director of the Centre for Environmental Protection, Standards and Technical Regulation, the Chamber of Commerce and Industry of Serbia and PhD Dunja Prokic, the EnE17 Conference Chair person, Environmental Ambassadors for Sustainable Development. Conference was attended by representatives from government and non-government sectors, international organizations, scientific and educational institutions. Conference participants (about 100 registered participants) were united in: education on climate change is very important in order to be able to mitigate the consequences of climate change and to adapt to them. Key role should have educational institutions to prepare and implement multidisciplinary programs tailored to different educational institutions and different age categories. Education on climate change requires professionals who will work with young people, so young people will be prepared to make the right decisions in the future. 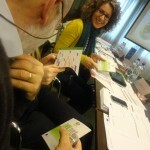 Participants in the discussion have tried to provide answers to questions on how to be more effective in environmental protection and responsive to nature. 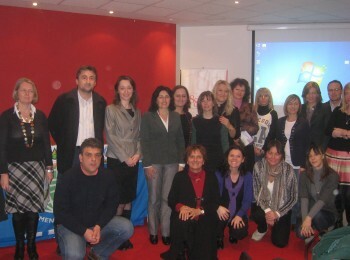 The Conference awarded prizes for the best Young Reporters for the Environmnet (YRE), who took part in the competition, “Saving resources, do not throw, recycle!” The competition is organized in the framework of the FEE International Young Reporters for the Environmnet, implemented in Serbia by a professional association “Environmental Ambassadors for Sustainable Development” with RECAN Foundation support. Prizes are awarded MSc Aleksandra Mladenovic, Environmental Ambassadors for Sustainable Development president, MSc Milena Tabasevic, coordinator of the Young Reporters for the Environment in Serbia and Jelena Kis, manager of the RECAN Foundation for recycling beverage cans. 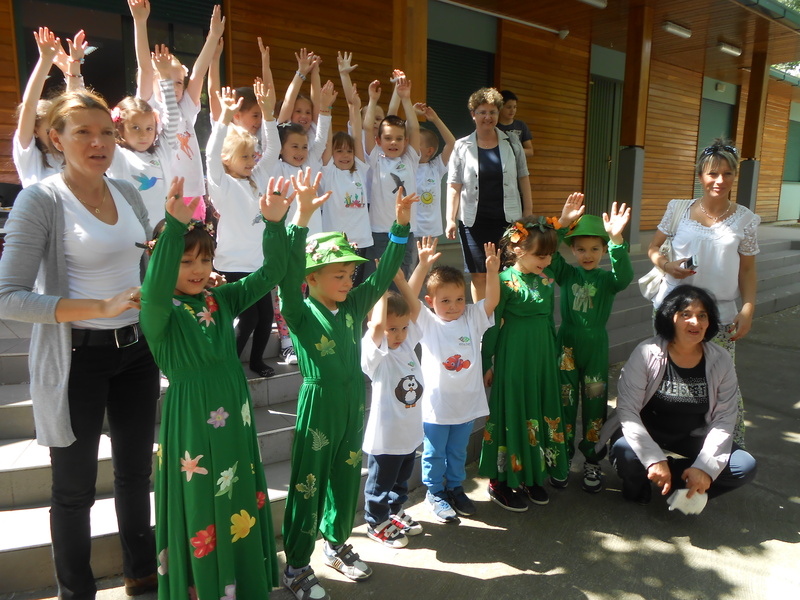 See pictures from Opening , Green Planet Award to Tetra Pak Company , Panel CLIMATE CHANGE EDUCATION FOR SUSTAINABLE DEVELOPMENT , YRE awards ceremony , Research papers presentation . 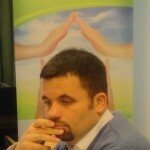 Note : The Conference will be opened by Mr. Goran Trivan, Secretary for Environmental Protection of the City of Belgrade. We are pleased to invite you to in Belgrade (Chamber of Commerce and Industry of Serbia, Terazije 23, 2nd floor, main hall). Conference is UN WED event. Environmental Ambassadors for Sustainable Development in partnership with Chamber of Commerce and Industry of Serbia organize The Thirteenth Regional Conference ”Environment to Europe – EnE17”. Thematic area this year is Climate Change Education for Sustainable Development. The Conference is an opportunity for institutions, organizations and experts to present their research and exchange viewpoints regarding climate change and environmental education. We firmly believe that your scientific/research results and experience will substantially help a better understanding of these fields. Being aware of the necessity of a close cooperation between science and practice, including the practice within competent institutions, we invite you to take active participation in the Conference “Environment to Europe – EnE17″, either by preparing and presenting your paper or by contributing as an auditor and participant. 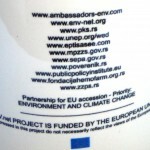 First, you need to apply to the Conference “Environment to Europe” Program (http://feeserbia.com/programi/konferencija-zivotna-sredina-ka-evropi/). After application to the Program you will be able to access to the registration form, which you have to complete to register your participation at the Conference. 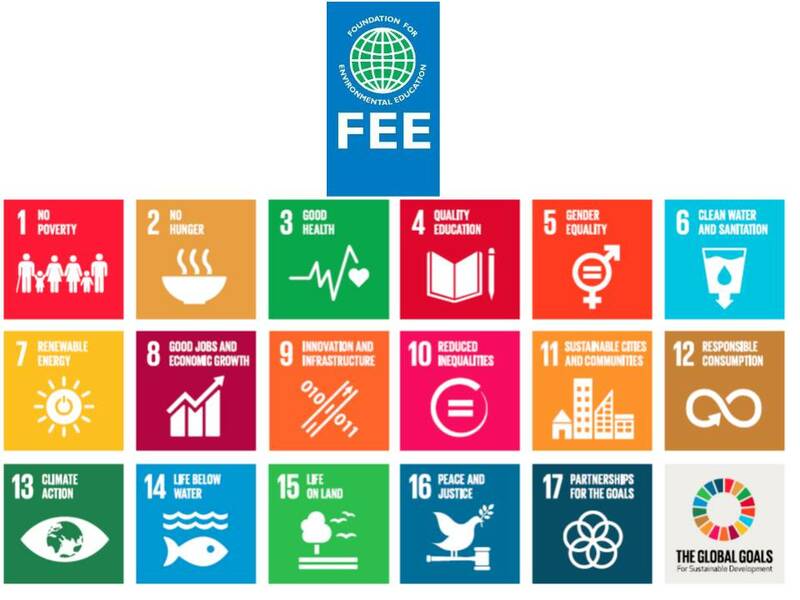 If you experience problems completing the registration, please send e-mail on: eneconference@feeserbia.com . Conference Organizing Committee is pleased to inform you that the registration fee for paper publishing in the CD Conference Proceeding is 50 €. Students are exempt from paying the registration fee. 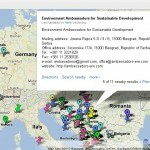 More information: Dunja Prokić, Environmental Ambassadors for Sustainable Development, e-mail: eneconference@feeserbia.com, web site: http://ambassadors-env.com and http://feeserbia.com/. 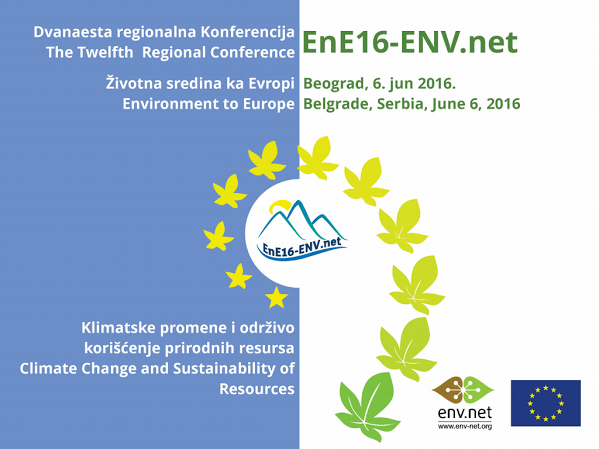 The Regional Conference ‘’Environment to Europe – EnE16-ENV.net’’ was held on 6th of June 2016 in Belgrade (Serbia) to address issues related to climate changes and sustainability of resources. Traditionally, this Conference was organized by professional association “Environmental Ambassadors for Sustainable Development” and Chamber of Commerce and Industry of Serbia. 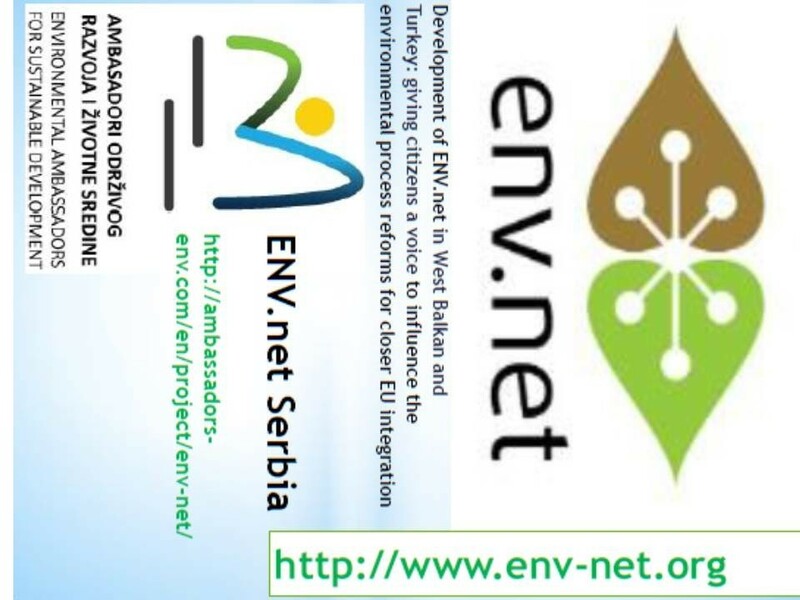 Conference was UNEP WED event, supporting EU Integration process through project ’’Development of the ENV.net in West Balkans and Turkey: giving citizens a voice to influence the environmental process reforms for closer EU integration’’. 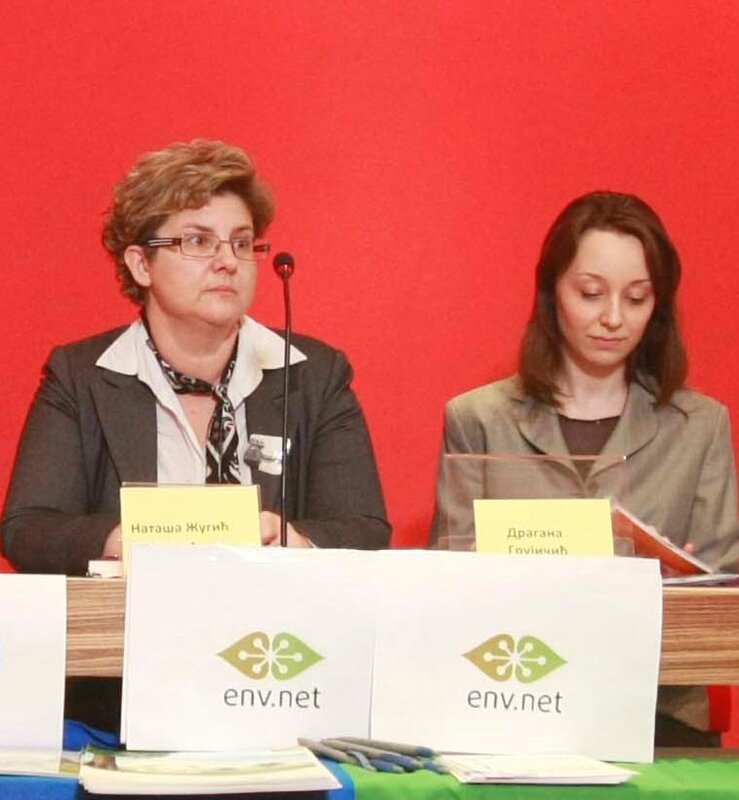 EnE16-ENV-net was opened with introductory speeches by Nermina Ljubovic, Executive Director of the Chamber of Commerce and Industry of Serbia, Stanojla Mandic, Deputy Commissioner for Information of Public Importance and Personal Data Protection of the Republic of Serbia, PhD Mirjana Drenovak-Ivanovic from Faculty of Law, University of Belgrade and member of the Government of the Republic of Serbia Negotiating Team for the Accession of the Republic of Serbia to the EU, responsible for specific sectors of Chapter 27 and prof. dr Anđelka Mihajlov, from Environmental Ambassador for Sustainable Development and member of the Government of the Republic of Serbia Negotiating Team for the Accession of the Republic of Serbia to the EU, responsible for specific sectors of Chapter 27. Conference was attended by representatives from government and non-government sectors, international organizations, scientific institutions and business associations. 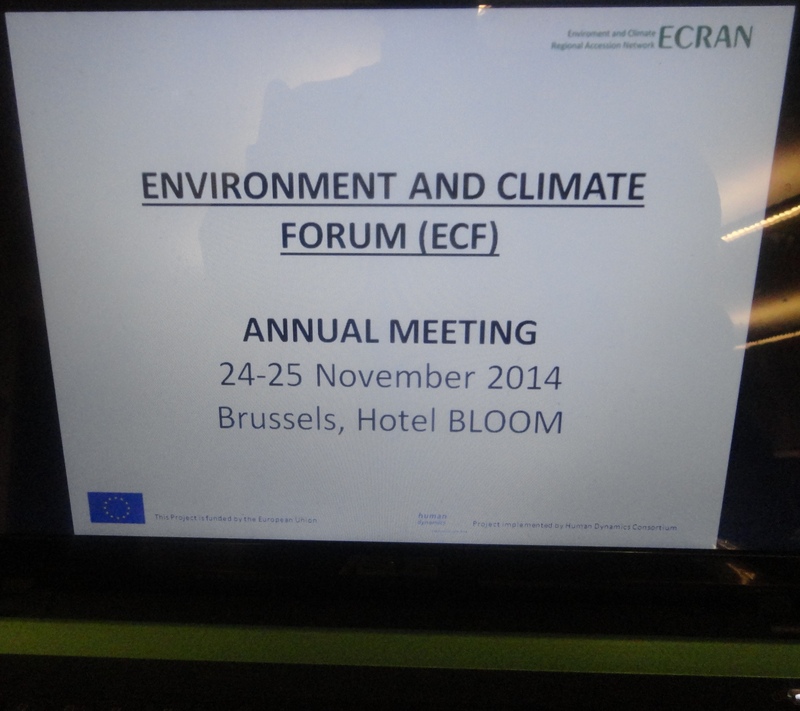 Some of ENV.net partners participated on ECF Annual Meeting in Brussels with European Commision (24-25 November 2014), using that opportunity to promote results of ENV.net project and to promote partnership. 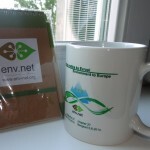 ENV.net broshure publish by Albanian partner is distributed. 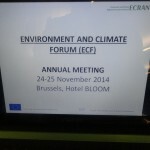 Annual Meetings build on the outcomes of all Environment and Climate Forum (ECF) activities and the events represent the key opportunity for the civil society to get engaged into dialogue with high representatives of the European Commission. 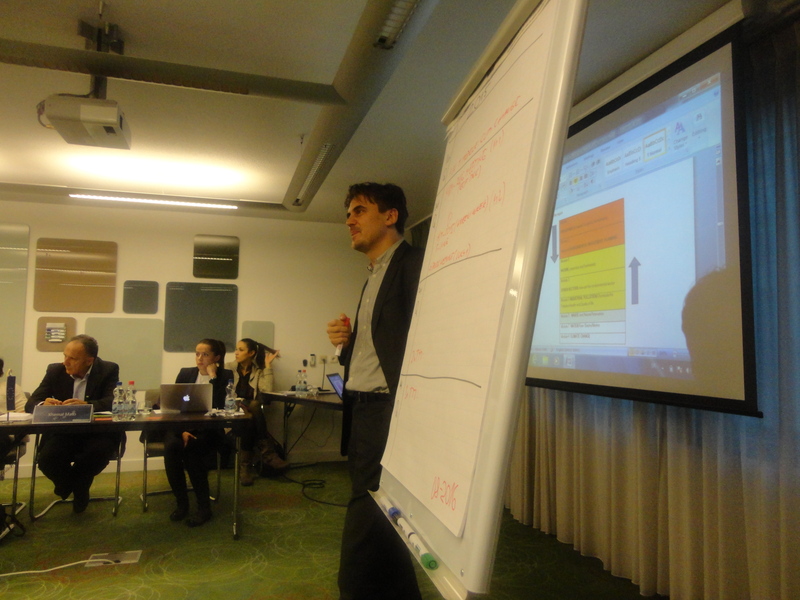 The agenda for the annual meetings is prepared in a bottom-up manner, with key input from the NGOs, as well as in consultation with the EC. 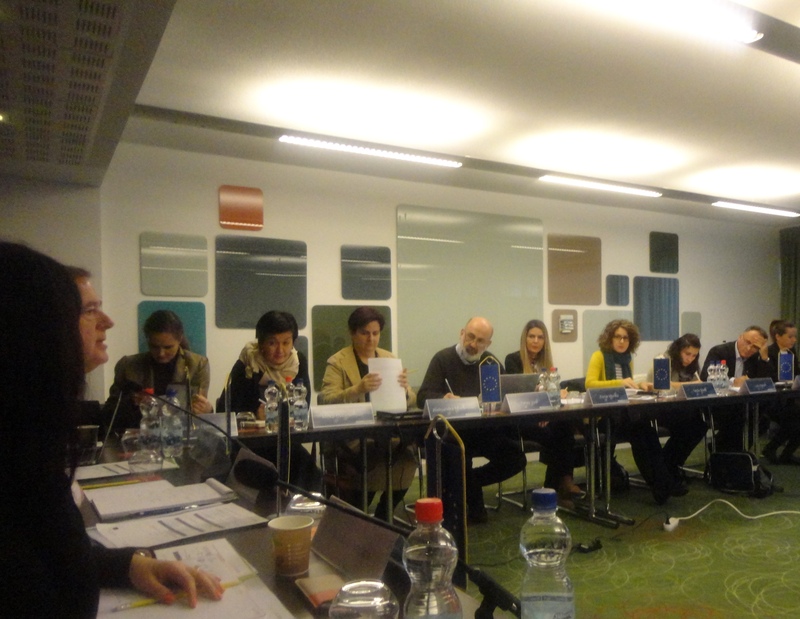 The annual meetings are planned in a way to allow enough room for NGOs to self-organize , to provide state-of-the art information on EU policies and legislation, to develop capacities of NGOs, and allow time for bilateral meetings . Following preparatory steps at country level, the organisation of annual meetings builds on the outcomes of 8 conducted in-country preparatory meetings and wider consultations. 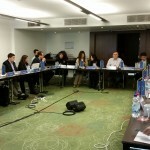 Participants: Representatives of 21 NGOs selected for ECF-ECRAN, Representatives of the European Commission, ECF Support Team and ECRAN experts. 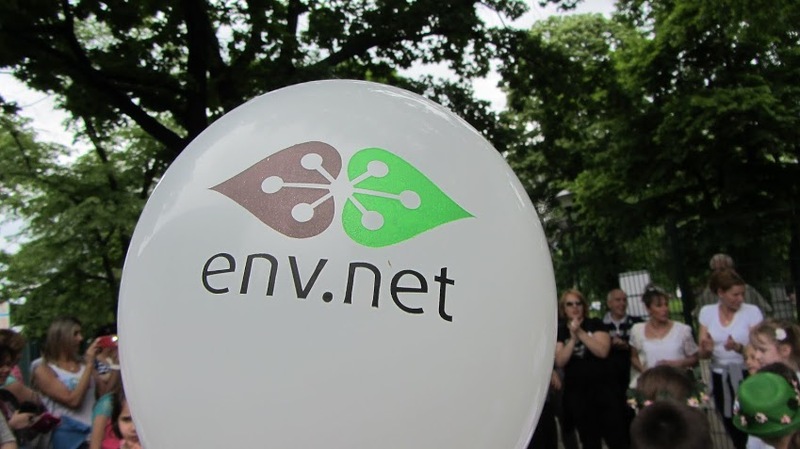 After the success of the e-learning course Social Media, Activism and Participation launched in June 2014, ENV.net team decided to develop a new course: Get funding from the European Union. 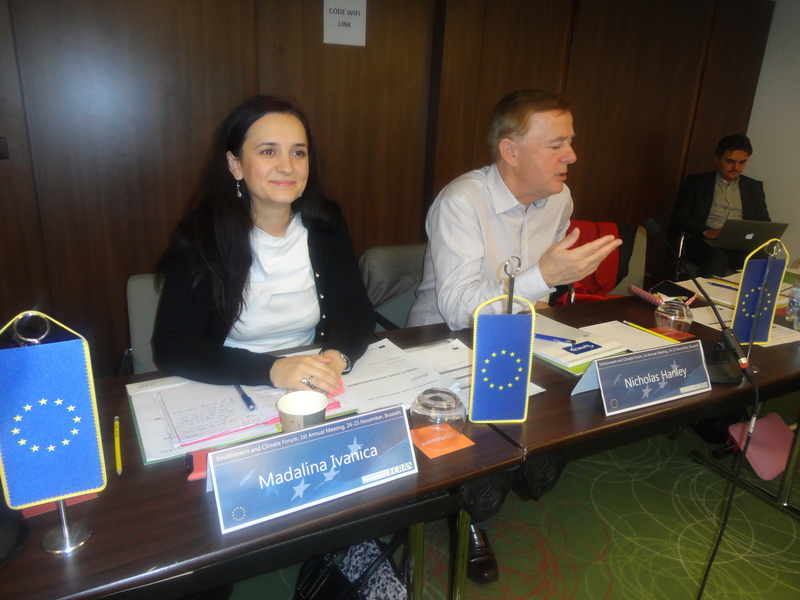 The course provides an understanding of the EU funding and programming system with a brief presentation of the main EU Institutions involved in this process. 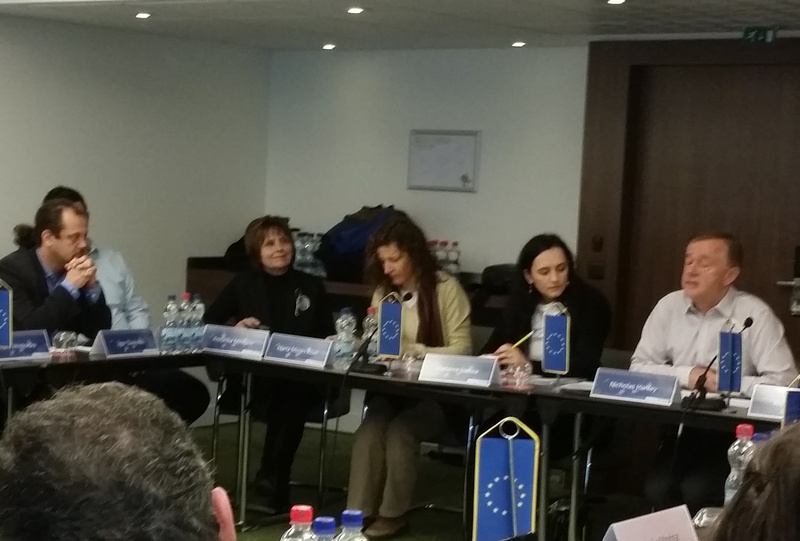 It also presents the funding opportunities available for CSOs from Western Balkans and Turkey to implement their projects. Moreover this course focuses on the necessary steps to carry out in order to apply for Grants under the EU Calls for proposals system. 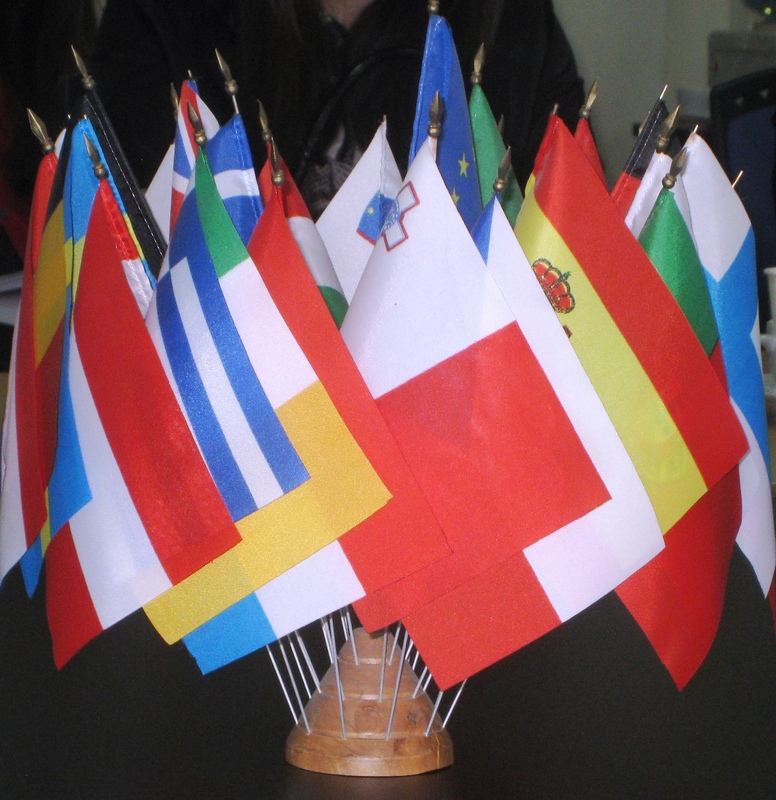 EU Funding & Programming: the focus of this module is on the financial framework under which the European Commission and EU Delegations work to deliver aid to partner countries. It explains how the programming system works, from the Multi-annual Financial Framework with most interesting Financial instruments, to Country Strategy Papers, to the Annual Work Programme. This will help participants to understand how to align their actions to the objectives established by these programmes and consequently to get funding. 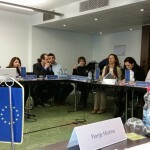 The Calls for Proposals system: in this module, participants will get practical information on how CSOs from Western Balkans and Turkey can look for and apply to calls for proposals launched by the different DGs of the European Commission, in particular DG Enlargement and DG EuropeAid, to get contributions (Grants), for the execution of their projects. The course offers video-lessons, tests, exercises and also additional material (e.g. 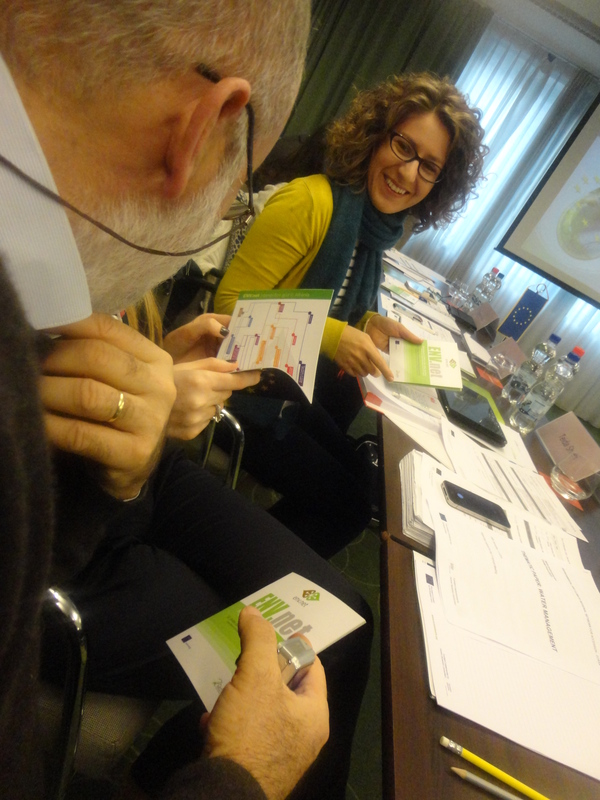 toolkits, official EU documents, useful links) for gaining insight into the proposed topics. The participation to this on-line course requires a computer with a reliable internet connection and a web-browser (e.g. Internet Explorer, Firefox). The course materials are provided in the course modules. Participants are not required to purchase any additional software, materials, resources, or books. This is an on-line self-learning course and offers high degree of flexibility to participants who are free to follow the lessons at any time, but are requested to complete the course within its global duration of 15 days. The average duration of the course is 3 days. The course is in English and it is free of charge. New e-learning sessions will be launched in 2015 for both courses. 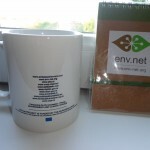 To apply in one of these courses, you should first registered in the ENV.net e-learning platform from this link: http://dl.env-net.org/ by clicking on ‘Register’ and then follow the registration and subscription procedure. Once chosen the course from the course catalogue, this will be accessible from the first day of the course period. Please contact ENV.net staff (env.net-helpdesk@puntosud.org ) and see ENV.net website for additional information concerning these courses and the registration process. This news item has been published with TACSO assistance. The contents of this news item are the sole responsibility of the FPA which is listed in the contact details, and can in no way be taken to reflect the views of TACSO and the European Union. Serbian first priority is accession to EU. 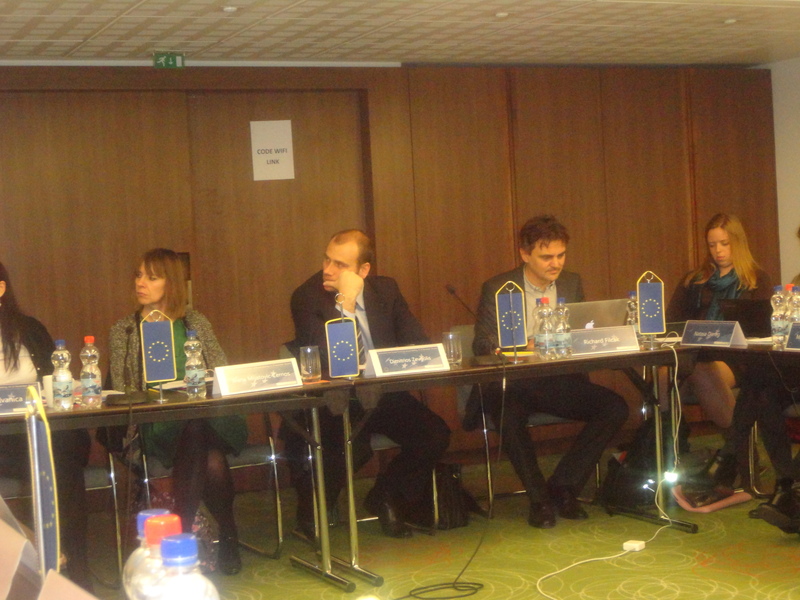 EC Delegation in Serbia, present to relevant CSOs, on October 18, 2013 , Serbia Progress Report 2013, in which the Commission services present their assessment of what Serbia as the candidate country has achieved over the last year. Presentation on 2013 Reports’ economic chapters is followed by discussion by CSOs representatives, including the NGOs as the one of category of CSOs. Environmental Chapter have great attention in discussion part of the meeting. Related to Chapter 27, overall EC conclusions is “little progress”. 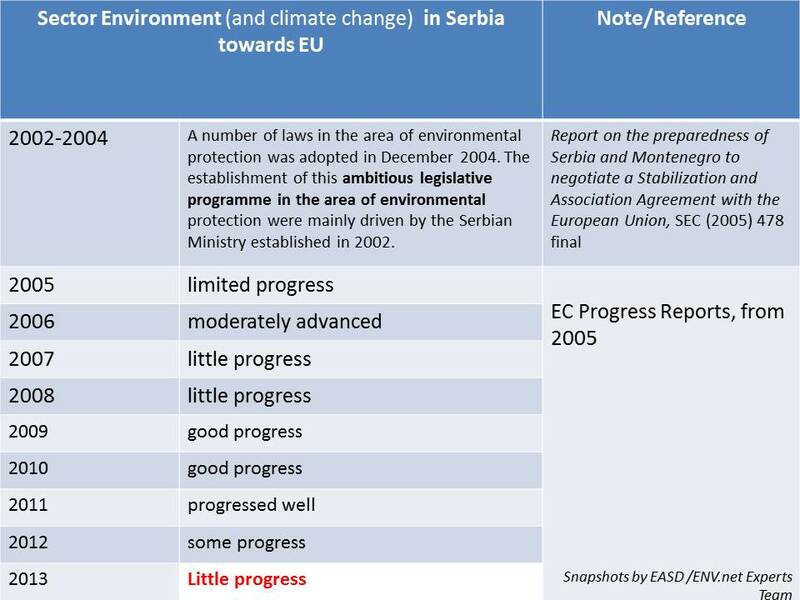 Although there are a lot of challenges ( EU Enlargement Factsheets – Energy, Climate Change and Environment ), EC conclusion is in some relevant segments different that ENV.net Study (ENV.net-Study-Extended-Summary-June-2013 ). ENV.net Serbia Team prepared document: Reading of 2013 Progress Report for Serbia and Strategy by ENV.net Serbia Team ( Serbia 2013 Progress Report and Strategy – Reading by ENV.net Serbia Team ). Resulting key words are : Group 1 : civil society organizations, empowered civil society, Dialogue between decision makers and stakeholders , Public awareness, public participation and consultation process; Group 2: sustainable growth, synergies between environment and economy, emissions to air /air quality , waste management , environmental governance , climate change, protected areas, water management, chemicals management, environmental impact assessment, integral pollution and prevention control (industrial emissions); Group 3: implementation of adopted legislation, Intra- and inter-institutional cooperation, proper functioning of the core institutions, coordination of sectoral policies; Group 4: the skills gap, education and training. 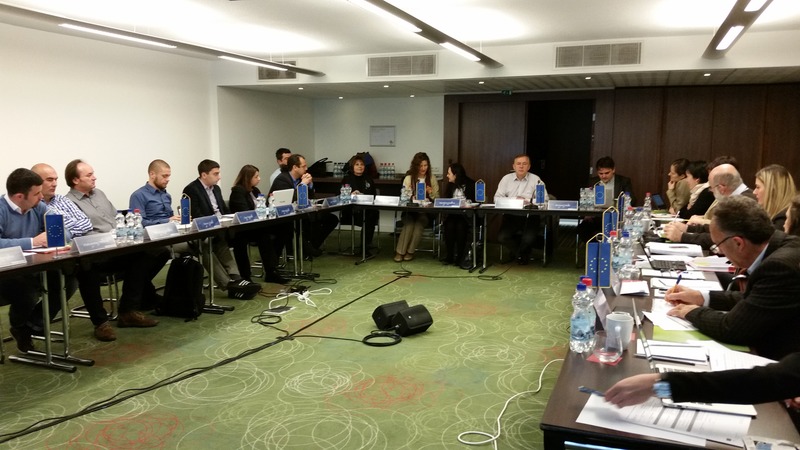 This project present different phases in EU accession. Started to raise awareness of the importance of the UNECE Ministerial “Environment for Europe” Belgrade 2007 Conference, and further continuously is mobilizing interesting parties in Serbia and Region to catalyze environmental and sustainable development towards European values. EASD Activity circles represent the scope of our activities. 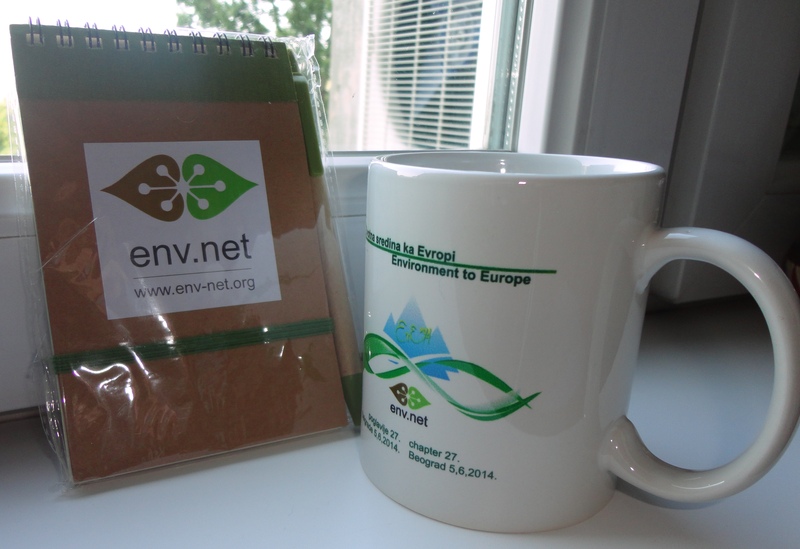 EnE14 / ENV.net Conference will be held on June 5, 2014 in Belgrade (it will 10th regional conference!). Thematic focus: Chapter 27. Reserve the date! More information soon. Follow the updated information related to event. 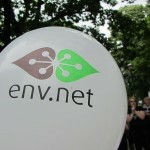 EnE13 – Environment to Europe Conference on June 10, 2013 is focused on local environment. 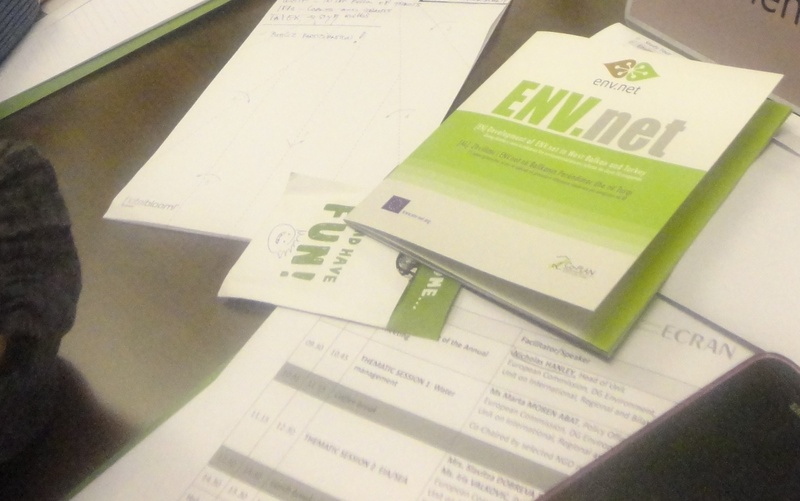 The main messages from this participatory ENV.net event are: environmental sector activities should be knowledge based, and education for environment and sustainable development should be priority. Capacities and continuity is very important for inclusion environment in other sectoral policies. Conference is institutionally supported by Ministry of Energy, Development and Environmental Protection and Ministry of Natural Resources, Mining and Spatial Planning, as well as National Commision for UNESCO. This Conference is UNEP WED event. 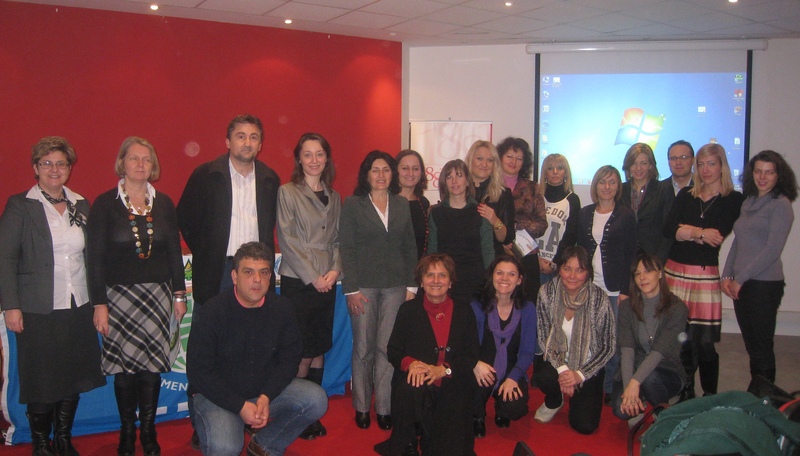 2007 EnE07 Dedicated to contribute to upcoming UNECE “Environment for Europe” (2007, Belgrade) Pan-European Ministerial ConferenceNGO Declaration on Environmental Cohesion of Western Balkan agreed Detailed Agenda published.CD Proceedings of Papers published. 2008 EnE08 Youth and Vulnerable Groups in Environmental EU Accession Detailed Agenda published.SnapshotEnE08 Zbornik radova 4. regionalne Konferencije „Zivotna sredina ka Evropi“-sadrzaj published. 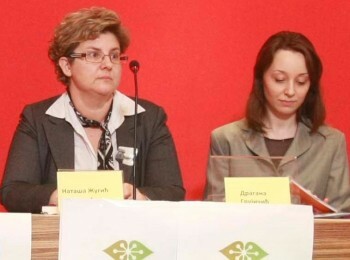 2011 EnE11 Rural and Mountain Sustainable Development Detailed Agenda published (agenda_ene11)http://www.ruralinfoserbia.rs/dokumenta/agenda_ene11.pdfCD Proceedings of Papers published.Publication with selected paper published. 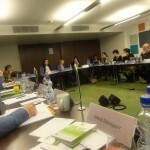 Within “Environment to Europe” Process, EASD actively participate and organize different supporting activities in different related thematic areas, like sustainable consumption and production, efficient resource use, chemicals, eco-consumers protection, participation at global, EC, regional and with papers at different conferences, etc. 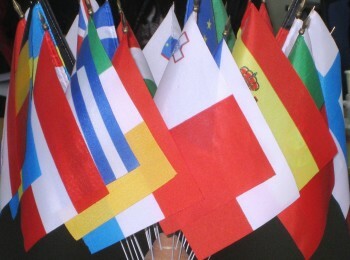 Regional cohesion projects supported Environment to Europe process. 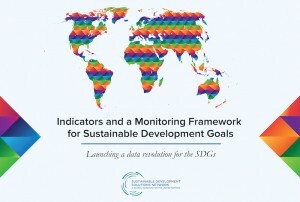 Since the first UN Conference on Environment and Development in 1992 – the Earth Summit – it was recognized that sustainable development could not be achieved by governments alone. This notion is reflected emphatically in the landmark outcome document of that Summit, “Agenda 21″. Section 3 underscores the criticality of harnessing expertise and capacity from all sectors of society and all types of people: consumers, workers, business owners, farmers, students, teachers, researchers, activists, indigenous peoples, and other communities of interest. 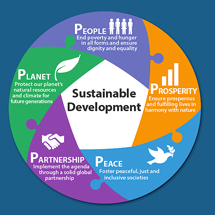 Sustainable development goes together with allowing people to broadly engage in development policy making. UN Sustainable Development Knowledge Platform serves to provide wide access to information and knowledge for sustainable development, through its online and social media. 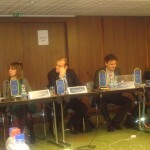 EASD involvement in process is approved by UN. It also helps build the capacity, knowledge and skills base of Major Groups. It supports, facilitates and monitors voluntary Partnerships for Sustainable Development and monitors the more than 750 voluntary commitments registered at Rio+20. It also promotes online and face-to-face knowledge and skills acquisition by stakeholders through its SD-Learning programme. 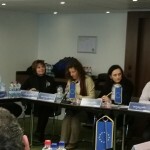 EASD is member organisation in the project ECRAN (ENVIRONMENT AND CLIMATE REGIONAL ACCESSION NETWORK) ASSISTS THE BENEFICIARIES ON THEIR WAY TOWARDS THE TRANSPOSITION AND IMPLEMENTATION THE EU ENVIRONMENTAL AND CLIMATE POLICIES AND INSTRUMENTS AS A KEY PRECONDITION FOR EU ACCESSION. 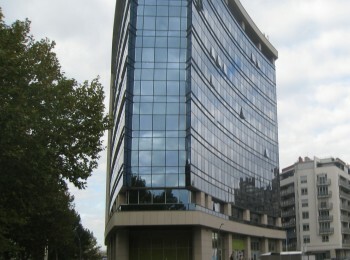 Within the ECRAN project, it is the component ECF. 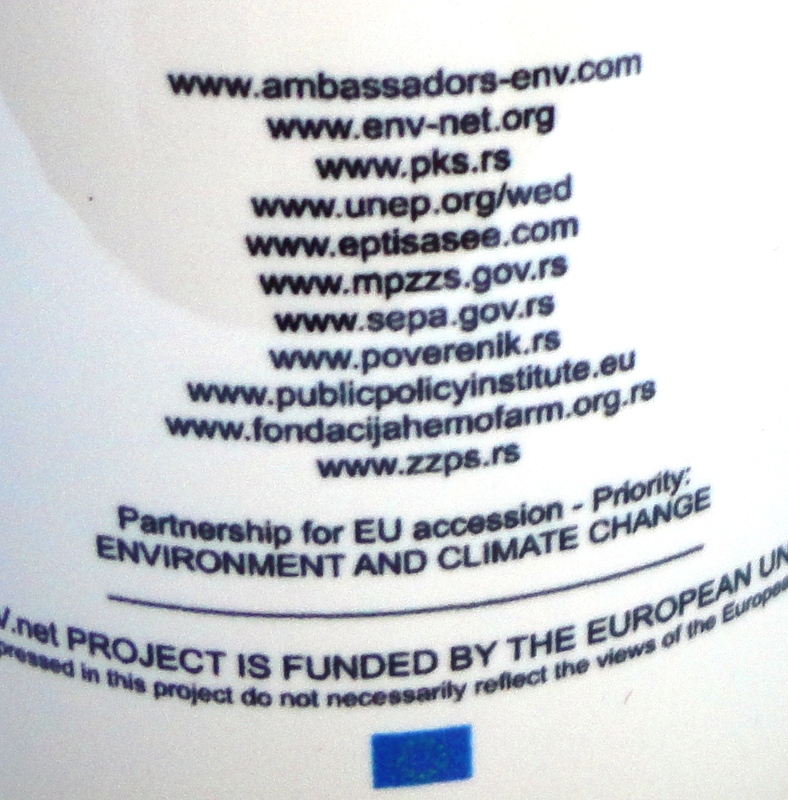 ECRAN (Environment and Climate Regional Accession Network), financed by EU and managed by the European Commission, assists the beneficiaries in exchange of information and experience related to preparation for accession. The overall objective of the Environment and Climate Forum (ECF) is to strengthen the role of public participation in the approximation and accession process. 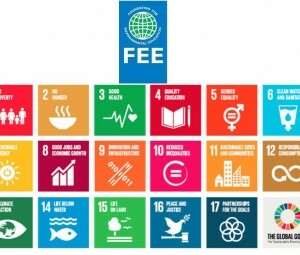 In doing so, the ECF provides wide ranging opportunities for the civil society and its active involvement in the approximation process, assist in capacity development of the NGO sector and provide opportunities for improving the stakeholders dialogue. 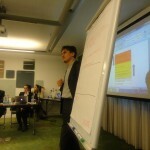 In doing so, there are four main activities to be implemented within the frame of the project. Activities could be followed on the ECRAN web site. 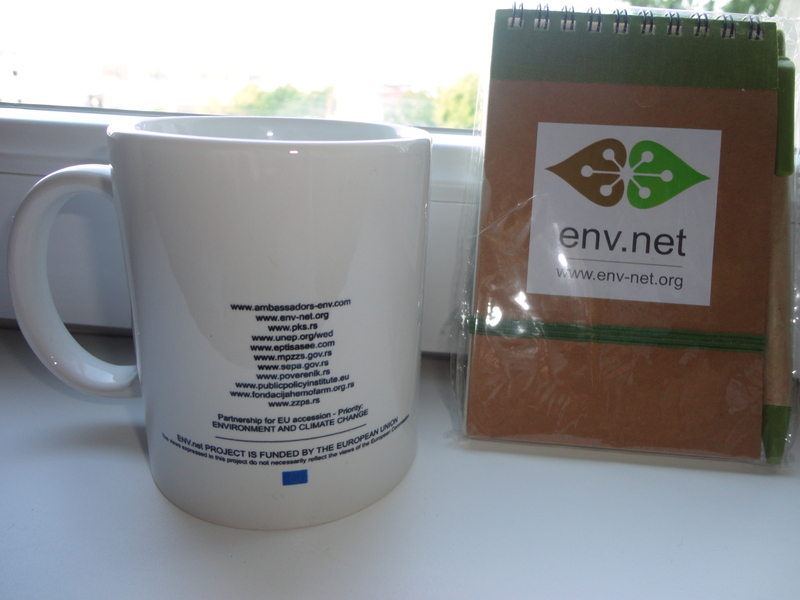 42 CSOs responded to ENV.net questionnaire (March-April 2013). 80% were NGOs (majority having interest in environmental issues “among the others”, and minority established as “environmental” NGOs ) while 20% belonged to other categories of the CSOs. As one of the main interests, need for education is identified. 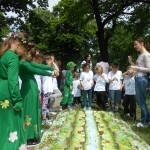 Most of the CSOs agreed that teaching/learning about environmental issues, environmental problems and solutions throughout informal education for adults as for example are seminars, and semi-formal education as for example are implementation of international program Eco-Schools, might be the most fruitful way to improve status of their knowledge about environmental issues in our country. 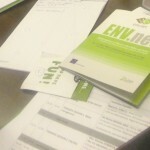 Most CSOs were interested to hear more about ENV.net project. Regarding different segments of environmental acquis, most of the CSOs which answered ENV.net questionnaire were interested to waste management (i.e. recycling), nature protection, and public access to environmental information. 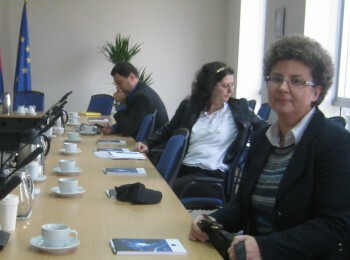 The Delegation of the EU to Serbia organized, together with the DG Environment colleagues, a consultative meeting with the NGO representatives on 7th March 2013, in EU Delegation premises in Belgrade. The purpose of the meeting is preparation for the Enhanced Dialogue on Environment and Climate Change. 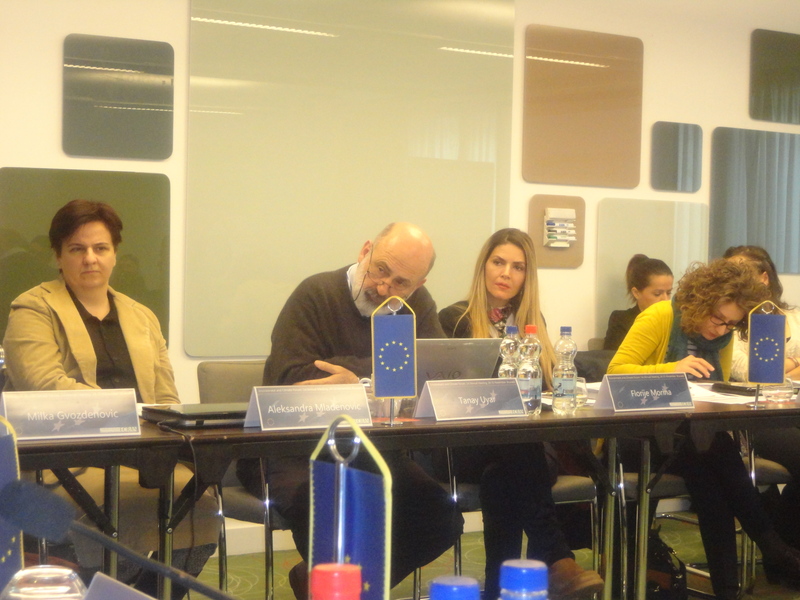 Ms Madalina IVANICA, DG Environment, Mr Dimitrios ZEVGOLIS, DG Climate Action and Mr Rainer FREUND, Delegation of the EU to Serbia, lead the meeting. 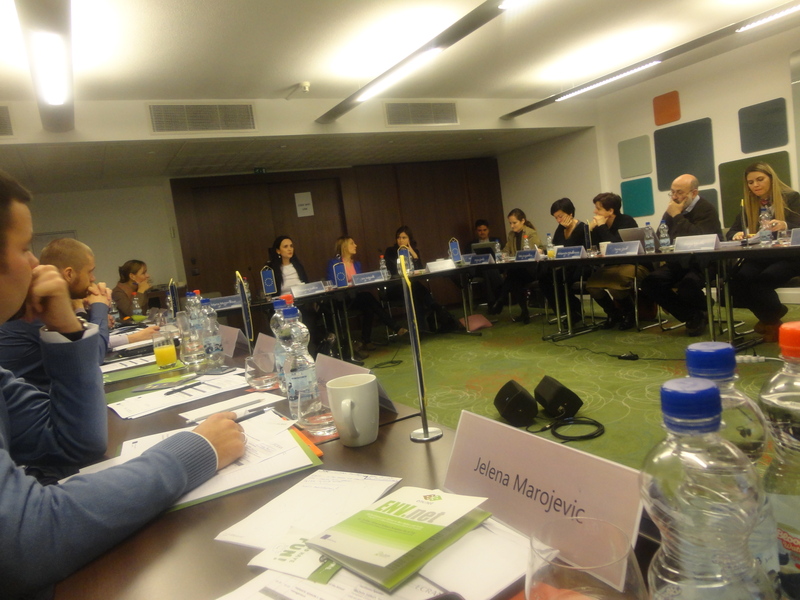 Among the invited CSOs participants, Environmental Ambassadors for Sustainable Development representatives at the meeting were: Andjelka Mihajlov (who was Thematic Expert in Environment Forum Project http://www.envforum.eu ) and Dragana Grujicic. 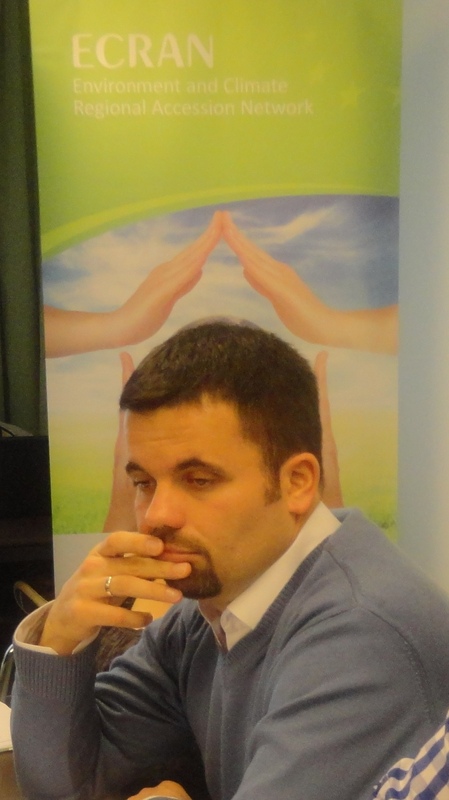 Within the context of the CSOs role in supporting environmental and climate change EU accession, A. Mihajlov informed on potentials of ENV.net project (See http://www.tacso.org/doc/130110_information-sheet-ENV.NET-project_REVISED.pdf for more information). 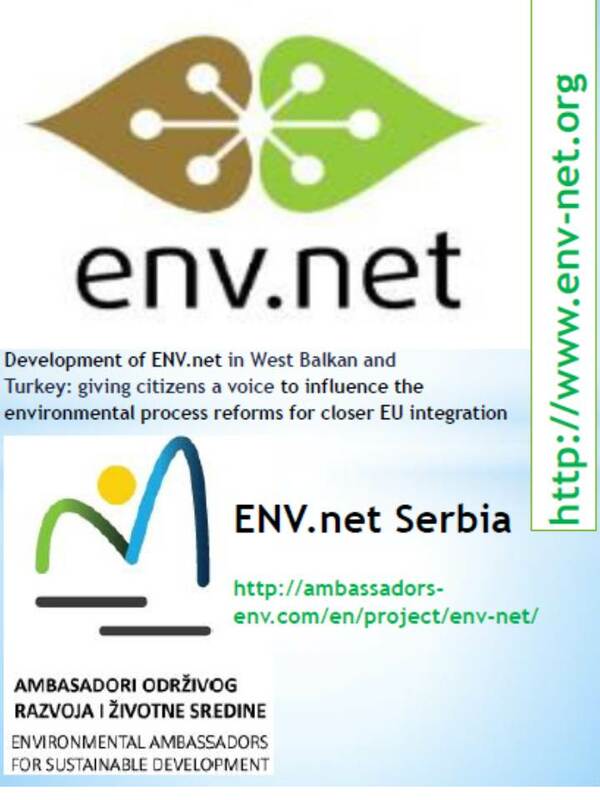 Environmental Ambassadors for Sustainable Development is participating as a partner in one of the selected projects: Development of the ENV.net in West Balkan and Turkey: giving citizens a voice to influence the environmental process reforms for closer EU integration. 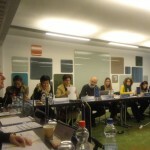 On the 21st of January, 2013, the European Commission organized a joint kick-off meeting in Brussels, for the project leaders and partners of the 18 selected projects. The purpose of the meeting was to give project coordinators detailed information on administrative and financial aspects of managing their projects. 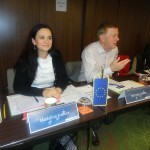 It was also an opportunity to meet EU and TACSO representatives and to network with other project coordinators. 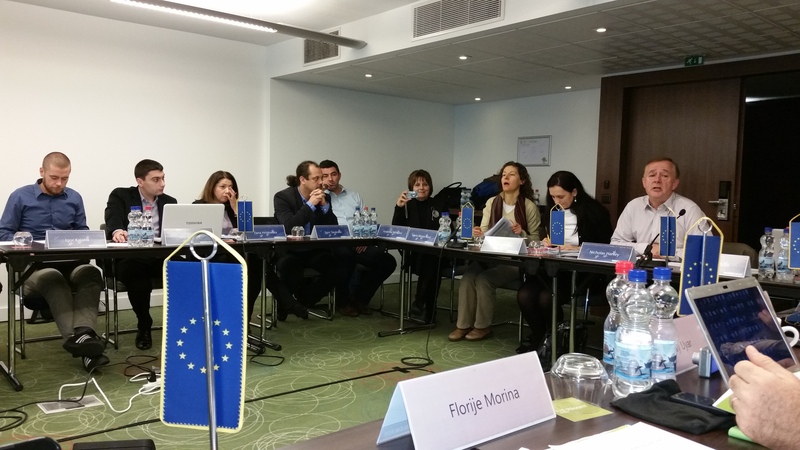 Together with five other partners participating in the ENV.net project, Environmental Ambassadors for Sustainable Development representative (Natasa Zugic-Drakulic) attended this meeting.